BOOSTING productivity is key to growth for small firms in the north - yet one in three are currently doing nothing about it, a new report has found. Having a more skilled workforce was seen by local firms as the biggest potential boost to productivity (35 per cent), with better equipment or machinery (25 per cent), an improved workplace culture (14 per cent) and fewer distractions (14 per cent) also cited by firms. The survey analysed the growth performance of local businesses with between five and 50 employees across a range of sectors including food & drink, technology, construction and retail. 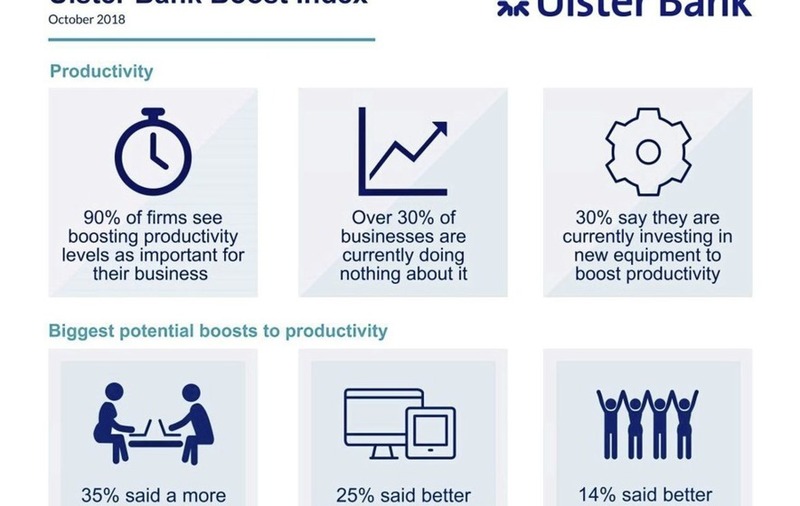 Cara Taylor, business growth enabler at Ulster Bank said: "Boosting productivity is perhaps the biggest challenge and opportunity for the local economy, so it's encouraging that over 90 per cent of small businesses recognise the importance of becoming more productive. However, the fact that one-in-three companies say they are not doing anything about it shows that there is still much to be done." Of the 67 per cent of small business currently doing something to boost their productivity, investing in better equipment (30 per cent) was the most prevalent, followed by investing in upskilling workers (28 per cent). Notably, the index also reveals that 39 per cent of small firms experienced an increase in sales compared with the previous year while only a quarter of businesses increased their number of employees during the same period. Just five per cent of businesses reported a drop off in sales and only four per cent said that they had reduced staffing level. What's more, 94 per cent of businesses described their current position as either stable, experiencing slight growth or experiencing moderate growth. Productivity aside, competition in the market place. A skills shortage within individual companies and a lack of awareness about how to access support, were listed by the Boost Index as the top challenges to growth or expansion. 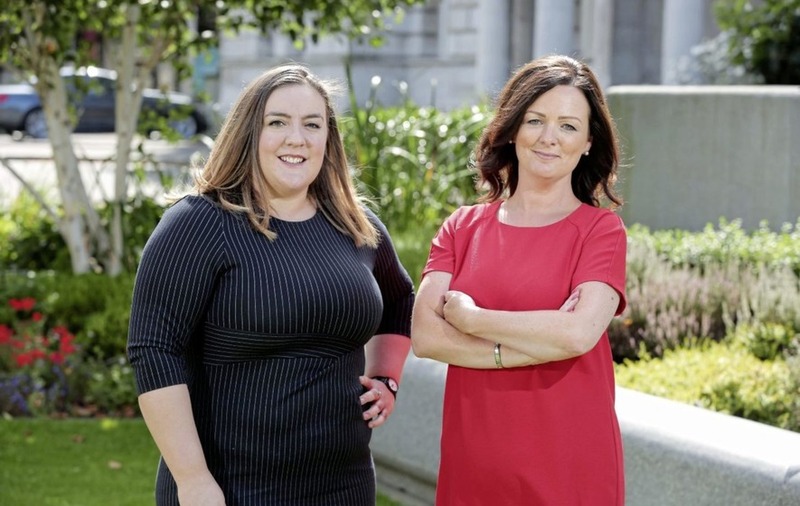 Some 62 per cent of firms surveyed expected to be impacted in some way by the lack of political stability in Northern Ireland while 61 per cent felt that Brexit would impact either a little (29 per cent) or a lot (32 per cent), on the successful development of their business. 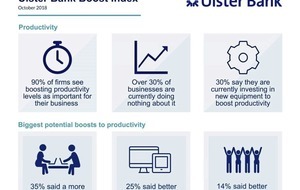 Lisa McCaul, business growth enabler at the bank, added: "Ulster Bank Boost has been created to help local businesses in a way that goes further than traditional business banking. "We know that every day operational challenges can take priority when running a business and often, plans focusing on growth or expansion get pushed further and further down the to-do list. "Having this piece of research, gives us invaluable insight into current climate small businesses are operating in and, crucially, about the type of support firms need to overcome these obstacles. Of particular interest are the insights around skills and productivity."